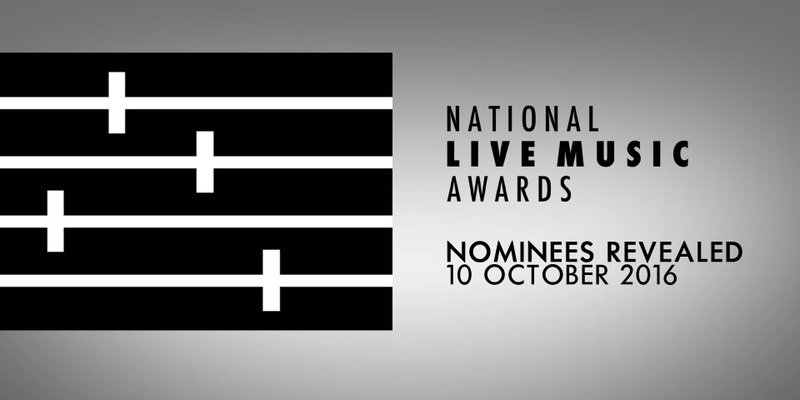 The National Live Music Awards (NLMAs) are excited to announce the official categories for national and state/territory awards, the nominees of which will be announced at a special nominations event in Sydney on Monday, October 10th. The awards contain both national and state focused categories voted on by the judging panel, the members of which are spread around Australia to ensure every corner of the country is supported by this event, along with select public voted categories. * recognizes artists who have exploded onto the live music scene over the last 12 months. Eligibility period for nominees -1st October 2015 to 30th September 2016. The nominees will be revealed on Monday, October 10th at 2pm during a special nominations event in Sydney. The National Live Music Awards will be held at venues across Australia on Tuesday, November 29th, with the National Awards handed out at a Gala event at Sydney’s The Basement as part of ARIA Week. The National Live Music Awards are a broad recognition of Australia’s diverse and successful live industry, celebrating the diversity and success of Australian live artists – recognising the best vocal talents and musicians alongside the best venues, tours, festivals and industry professionals who help make it all possible. The awards fill a gap in Australia, which does not currently have an award dedicated to the contemporary live music industry, a side of the industry that definitely deserves the focus. After all, live performance being the most significant revenue stream for many Australian artists, in a country that is among the biggest live music scenes in the world. The National Live Music Awards are being run under the vision of Larry Heath of Heath Media, alongside 11 board members from around the country. In short, the NLMAs aim to celebrate the best live music that Australia has to offer. Tickets to all events, bar Sydney, will be free and made available through online RSVP. Further details on this, as well information on how industry and public alike will be able to attend the Sydney gala will be revealed later this month. This event will be held as part of ARIA Week.